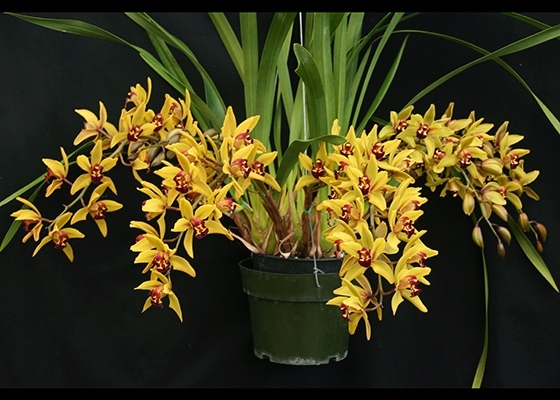 A charming, arching to cascading, miniature Cymbidium. 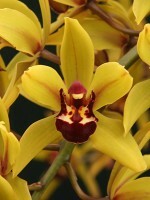 From the crossing of Cymbidium floribundum and Cymbidium Mighty Mouse. The flowers are about the size of a quarter and are a rich yellow-bronze with a deep red lip. Each inflorescence can carry up to sixteen flowers. .November blooming.